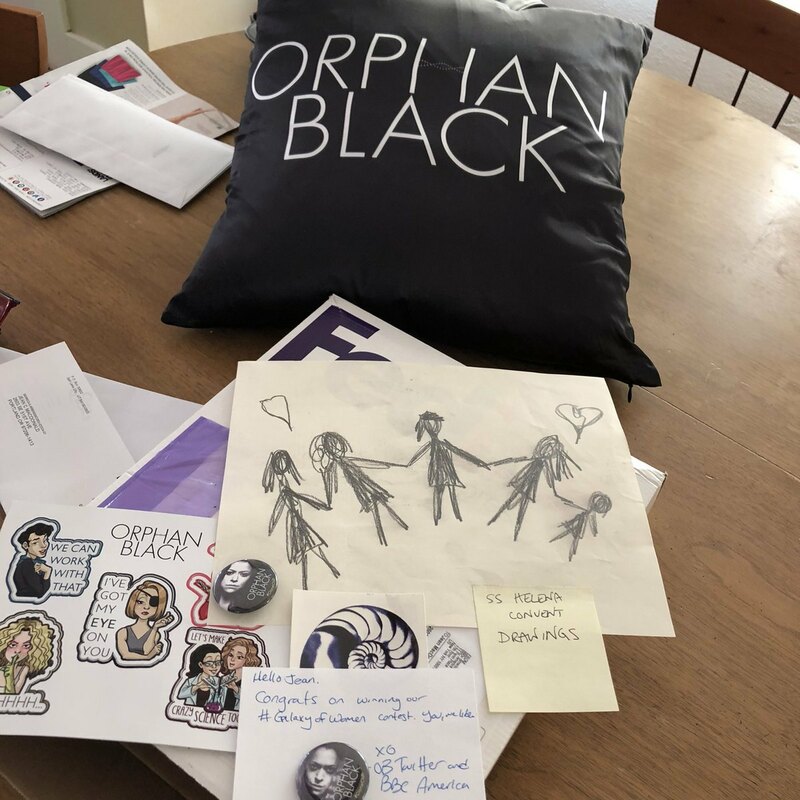 My Orphan Black prizes from BBCAmerica arrived! The promised prop is one of Helena’s sketches, which was unexpected but so nice to have. I skimmed through a few episodes and found it on the wall in this scene.